One skill that many students struggle with is writing a fiction summary. Whether it’s a short story, a chapter, or an entire novel, putting a story or passage into a paragraph or short piece can be difficult. Often, students want to write about everything that happened. That’s not a summary, that’s a retelling. Here are two strategies to help your child summarize fiction pieces without breaking a sweat. As your child reads, have them write a short sentence for each page they read on a sticky note. After the chapter is completed, have them read all the sentences and generate the main idea based on the details. That’s their first sentence, the topic sentence. Your child will then pick out the sentences (or combine some) from their pages to focus on the most important details that support their main idea. This also works for short stories as the sentences can be generated per paragraph. For novels, your child may want to generate one or two sentences per chapter. If you don’t mind your child writing in their textbooks, they may do this directly on the page or even highlight main words or phrases to help them generate sentences. With ebooks, they may be able to annotate directly on the document with some apps. Somebody-Wanted-But-So is a strategy used to put together the main elements of a fiction piece into a summary. It forces your child to get away from the retelling of a story and focus on characters, motivation, and conflict. The somebody in the story is a character, the wanted is their motivation or goal, the but is the conflict, and the so is how conflict is attempted to be solved, and then is the resolution. Give your child an example. In the case of “The Three Little Pigs”: (Somebody) Three Little Pigs (wanted) to build a house that would keep them protected and allow them to live on their own, (but) the Big Bad Wolf kept blowing down the houses made out of sticks and straw, (so) the smart pig built one out of sticks (then) they lived happily ever after in a well-built, wolf-free home. It’s a simple way to get a lot of literary elements into one summary statement and focus on what happened throughout the story. These simple strategies for writing a fiction summary will leave more time for reading and analysis. 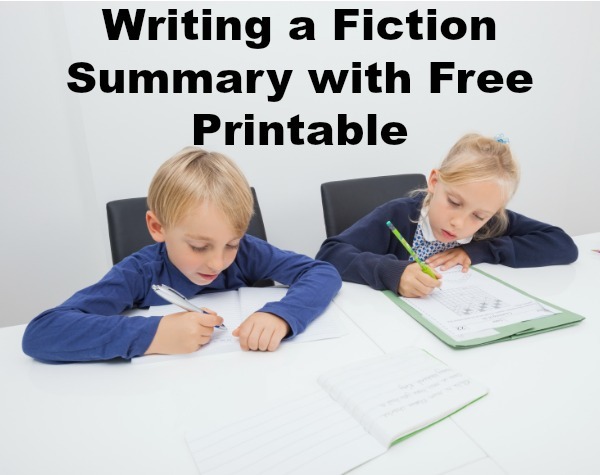 Once your child gets used to summarizing using main ideas and supporting details from the text or focusing on literary elements to generate summary statements, summarizing becomes just as simple as retelling a full story.